I'm trying to make displacement to a mountain. I could put displacement modifier that would work just fine but I want displacement just some parts of the mountain and I can't get it right with that modifier. 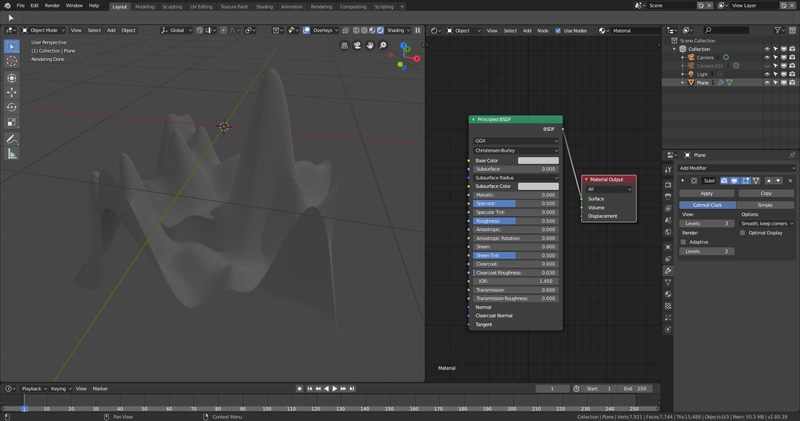 With nodes I get it right spots but displacement node won't work with my mesh. 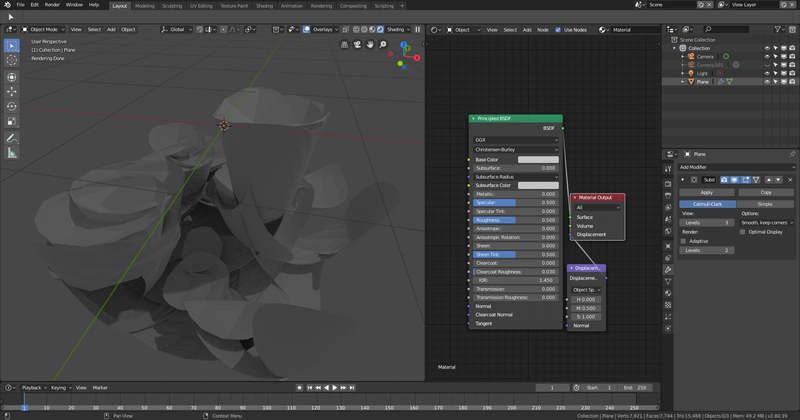 I've tried displacement with simple objects like plane and it work fine but when I make some geometry displacement node goes crazy. Even if I make more subdivisions (my 8Gb of ram ends in eight million verts) it won't be any better. I've spent several tens of hours with this problem and nothing seems to work with me. Sorry for my bad English and thank you for your replies in advance! Browse other questions tagged cycles nodes displacement or ask your own question. Time remapping incompatible with particle info node? Gradient along object hair particles (like grass)?